An annual gathering of some of the world's most powerful and influential figures gets under way today in Virginia in the United States. 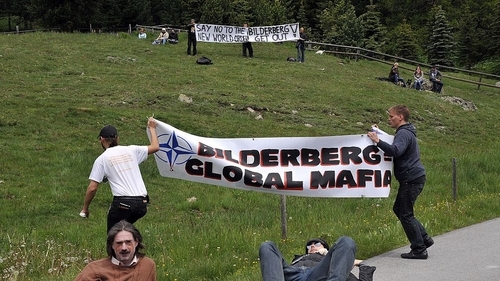 The Bilderberg four-day meeting in Chantilly is expected to address Russia, China, nuclear proliferation, globalisation and "the war on information". There will be three Irish attendees among the 130 invited power brokers - Ryanair CEO Michael O'Leary, Kingspan group chief executive Gene Murtagh and Stripe CEO Patrick Collison. The group has met every year since 1954. It was created as a forum for fostering dialogue between Europe and North America. This year's gathering will take place less than 50km from the White House, but it will be a world away from the Washington media scrum. By tradition, news outlets are not invited to cover the event and Bilderberg's exclusion of reporting press has seen the meeting take a spot in the modern conspiracy spectrum somewhere between the Freemasons and the 'Illuminati'. Those involved say it is merely an informal way to understand better the way the world works and to share their expertise to improve it - critics argue its aim is more sinister. Guests scheduled to attend this year's meeting include US Commerce Secretary Wilbur Ross, National Security Advisor HR McMaster and billionaire tech entrepreneur Peter Thiel. Those also attending include Dutch King Willem-Alexander, who works part-time as a commercial pilot; David Rubenstein, co-founder of influential global investment firm The Carlyle Group; and John Brennan, CIA chief under former US president Barack Obama. Ex-deputy secretary of state William Burns and former deputy assistant secretary of defence Elaine Bunn, both Obama-era officials, will also attend.